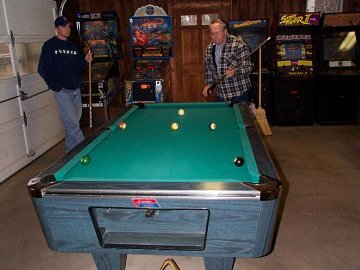 Dana’s Lakeside Resort is a clean, safe and comfortable place to relax, with a large assortment of activities for the entire family to enjoy, including a great playground, large recreation room, DanaBall!, shuffleboard, basketball court, sit-on-top kayaks, canoes,pedalboat, tetherball and a safe sandy beach. 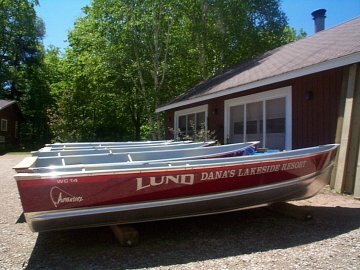 Dana’s has 265 feet of lake frontage on AuTrain Lake. 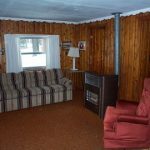 Relax in a modern, but rustic, cedar log cottagewith a screened-in porch that overlooks beautiful AuTrain Lake. 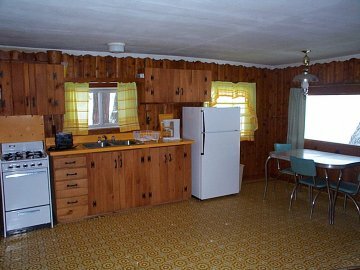 Except for towels and paper products, everything you need for light housekeeping is provided in the cottages. 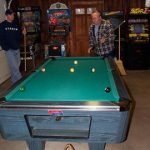 Our large recreation room offers a pool table, air hockey, Foosball table, ping pong table, library, and laundry facilities. The warm sunny days and cool nights assure you of wonderful rest and sleep. 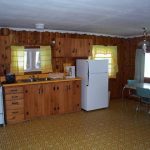 While the cottages all have kitchens, the many fine restaurants in the area will tempt you with excellent local cuisine. The pure, clean water of 830-acre Lake AuTrain is ideal for swimming, fishing and boating. 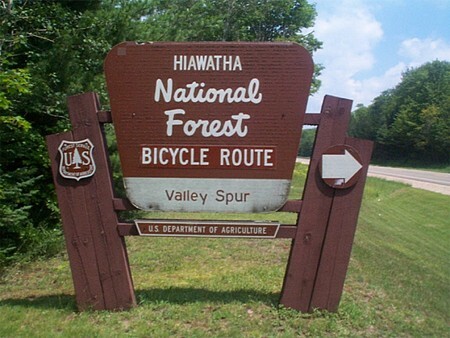 The Hiawatha National Forest AuTrain River Canoe Trail offers an excellent four to six hour canoe trip. 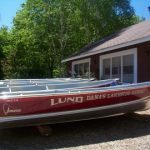 Outboard motors and Lund Boats are available for rent by the day or week. Fishing supplies and licenses are available in nearby Au Train. The office carries a limited line of groceries including ice cream, candy, soft drinks and Tombstone® pizzas. 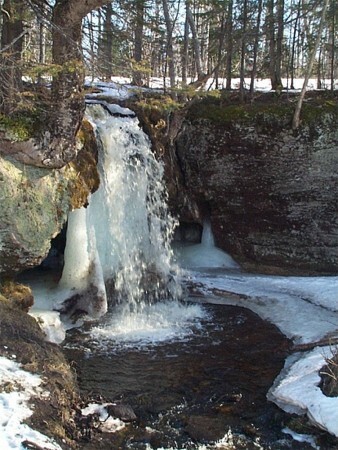 Lake AuTrain is noted for its splendid Walleye fishing and large Northern Pike. 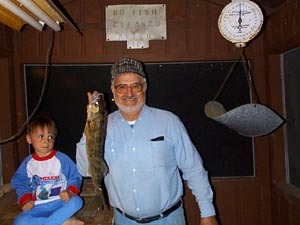 It also abounds in Bass, jumbo Perch and other pan fish. Salmon can be caught in the lake as well as the river. 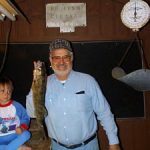 Brook trout, Brown trout and Rainbows can be caught in lakes and streams within easy driving distance. 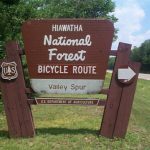 You can enjoy biking, golf, hiking and unlimited water sports at a variety of fine facilities in Alger, Marquette, Schoolcraft and Delta Counties. 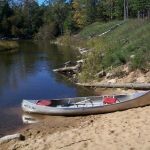 If you’re interested in a day of fishing on Lake Superior, charter boats are available in Shelter Bay, Munising and Marquette. 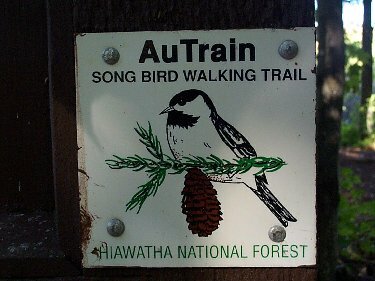 The area around AuTrain offers many recreational opportunities. 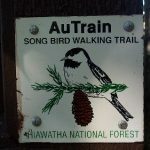 The AuTrain Songbird Trail is an interesting 2 mile hike that offers a new way to identify birds. 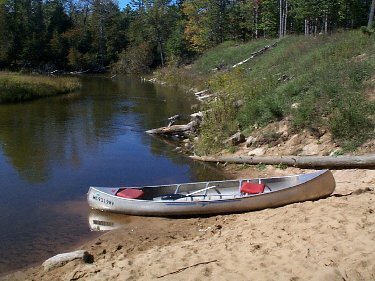 Alger County is the home of the Pictured Rocks National Lakeshore and Grand Island National Recreation Area. 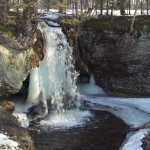 The nearby Seney National Wildlife Refuge is home to bald eagles, loons, sandhill cranes and over 250 species of birds and mammals. 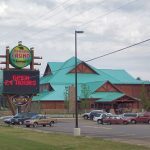 Game bird, deer and bear hunters use Dana’s as their headquarters. 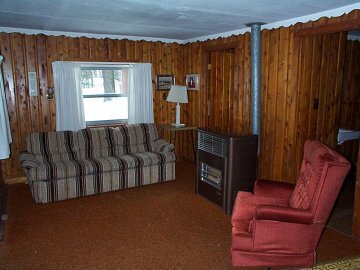 It is also the perfect resort for those “hunting” the beautiful color of Autumn in the North Country. 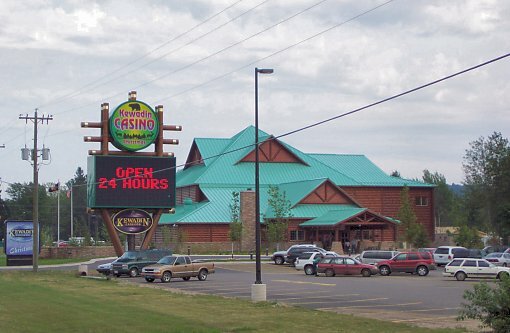 Nearby Kewadin Casino is open daily and is located less than ten miles away in Christmas, MI.